If you aren’t familiar with Hot Iron Holsters , they are a MUST have for everyone. 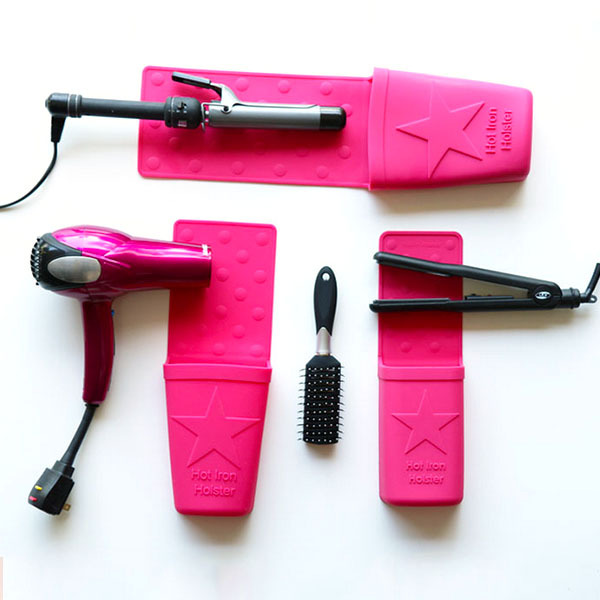 They are fantastic for any bathroom (and they also have other sizes for craft and household uses) and they are perfect for putting your curling wand or flat iron in. They are space savers as well as they protect your countertop. They come in a wide variety of sizes (for other household uses) as well as a variety of colors. Our favorites are the pink ones!